Quality, service and dependability are important to you. In the public sector, you need a trusted partner that you can count on to reliably provide landscape installation and maintenance services year-round. High Quality Landscape Services is here for you to help you in meeting your goals of serving your constituents and stakeholders. We provide professional services in the areas of highway and road maintenance, municipal landscape maintenance, educational facility maintenance, and public works contracting. We strive for exceptional customer service and are a trusted service provider with a dedicated and professional team, reliable equipment, and state-of-the-art technologies. We are an experience, full-service landscaping contractor that has been in business since 1973. 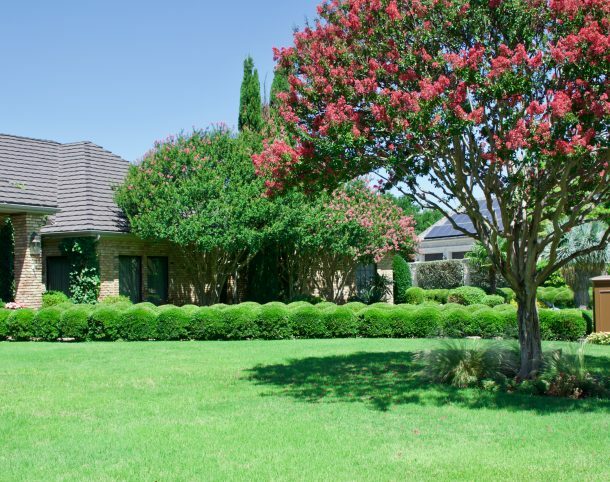 For more than 45 years, our customers have relied on us to professionally perform landscape maintenance, vegetation management, landscaping installation and construction, tree care, irrigation services, and chemical services including fertilization, pest control and weed control. Healthy, beautiful trees can be a distinctive focal point and can add significantly to your property value. High Quality Landscape Services can size and select the proper tree to meet your goals and enhance the appeal of your property. We can then install and maintain your trees through proper pruning, lifting of the canopy, fertilization and pest control. Our professional, trained tree care specialists are experienced in all areas of shade and ornamental tree care.